Elsa – Francisco “Frank” Garza, Jr., 69, passed away Sunday, February 10, 2019 at Paxvilla Hospice in McAllen, TX. He was born March 23, 1949 to Francisco Garza, Sr. and Annie Doty in Elsa, TX. Frank graduated from Edcouch-Elsa High School and obtained his Bachelor of Science in Interdisciplinary Studies, leading to his teaching profession. 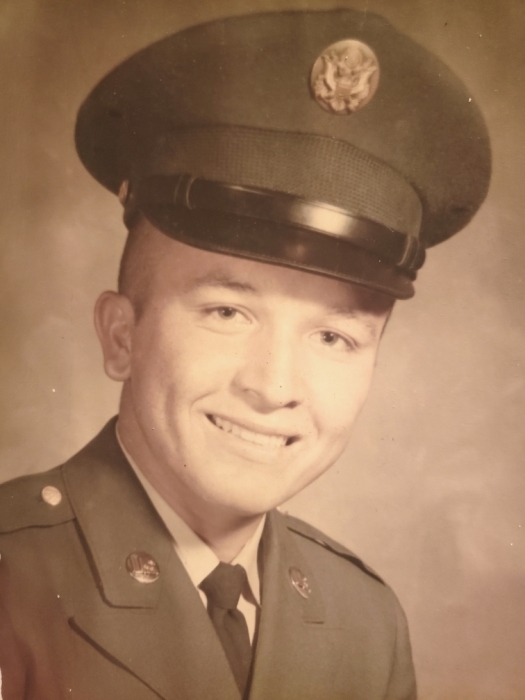 Frank was a Vietnam Veteran serving in the Army’s 82nd and 173rd AirBorne Division. Aside from enjoying teaching, Frank loved to fish, watch movies, and he truly loved his family. Frank is survived by his wife, Maria Alicia Garza; daughters, Sabrina (Jorge) Franco, Sandra (Eddie) Cavazos, and Sarah (Roy) Garza; 8 grandchildren; sister, Leonor Salazar. He is preceded in death by his parents. Visitation will be held Wednesday, February 13, 2019 from 1:00 p.m. to 9:00 p.m. with a Prayer Service at 7:00 p.m. at Cardoza Funeral Home Chapel in Edcouch. Military Honors will be held Thursday, February 14, 2019 at 11:00 a.m. at his residence at the corner of Mile 6 and Mile 16 (18018 N. Mile 6 West) Elsa, TX 78538. Cremation will follow at a later date.